This is my very first read for my DAC 2013 Goals. I definitely picked right. 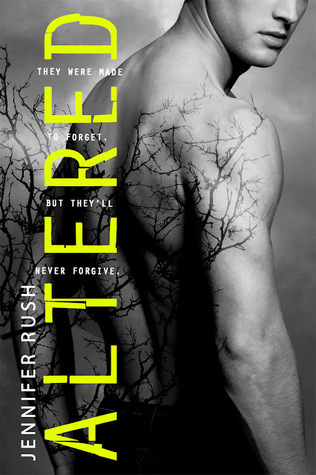 This book was AH-MAZING!!! I read the entire novel in one sitting - 5 hours.... I didn't go to sleep until around 3 this morning because I.COULD.NOT.PUT.IT.DOWN. The cover & synopsis intrigued me from the start so I couldn't wait to read it. It's definitely going on my faves list!! The characters are absolutely fabulous. Anna, Nick, Trav, Cas & Sam keep you completely enthralled in the story. Anna is a female lead that I think anyone can enjoy. She's intelligent, honorable, and has a crush on Sam. Nick, Trav, Cas & Sam are stuck down in the "lab" - which is down below Anna's home where she lives with her father Arthur. From page one to the very last page, the story is full of mystery... it's one big puzzle that they're trying to solve. What is the purpose of Nick, Trav, Cas & Sam's "testing". What is the goal? What is the "Branch" trying to accomplish? Why do they have to stay locked up? Why can't they remember anything past a certain point? Is it really amnesia due to the testing? Or something more foul-play? Then the mysteries end up getting deeper and more connected to Anna & Sam. I don't want to go into more detail because I can't ruin the outcome of this story. Let me just say that it's going to BLOW.YOU.AWAY. If you enjoy mysteries & solving puzzles, then get this book! You'll love it! I'd really love to know how Jennifer kept track of everything that she had going on - I'd love to see the story-board. The overall plot to the story is great! I never once wanted to put the book down because I was too enthralled with what was going to happen next. What was going to be their next clue? What did the clue they were trying to solve really mean? Who is Anna's mom? What? Why? How????? When???? It keeps going and you can't wait to learn more. I was left speechless several times throughout the story and not once did I ever get close to what the actual outcome was going to be! Ugh - One of the boys totally took me by surprise! I won't ruin it for you but I'll just say, you'll be taken by surprise too. I was totally heart broken & couldn't believe what I was reading! My only thought for what I would've liked more of would have to be background on Sam. (Maybe a tad more heat between Sam & Anna too but hey, I'm a girl, I love that stuff, LoL). He's the quiet one in the group it seems - the brooding one with so much history with the Branch but you never really get a complete feel for him. I want to know his true history, what really happened, why he is like he is? How did he get so deeply involved in the Branch that they can't seem to let him go? I know that his mom just dropped him off with the Branch but how did he end up so deeply wound up in them? What was he like before? I can't wait for book 2!!!!!! Overall Rating: 5 Huge Stars! Loved this book! I haven't given a book a whole round of 5 stars in what feels like forever. I'm super excited to be starting out my DAC list with such a bang!!! !